All questions of next-of-kin from KLM-passengers related to flight MH17 can be sent to Customersupportmh17@klm.com. IATA Press Release: Joint Efforts to Improve Safety - Industry and Governments Address Safety Over Conflict Zones. Montreal - The International Air Transport Association (IATA) joined with the International Civil Aviation Organization (ICAO), Airports Council International (ACI) and the Civil Air Navigation Services Organization (CANSO) in a declaration committing the parties to review processes for the overflight of conflict zones. The high-level meeting was called by ICAO in the aftermath of the tragic downing of MH17 over the Ukraine earlier this month. (*) can be found at the bottom of this statement and click here for the PDF. Due to the tragic incident of flight MH17 from Malaysia Airlines we understand that you might have questions or would like to share your concerns. Via this document we share our answers to the most frequently asked questions. If your question or concern is not addressed in this list, we advise you to contact the dedicated phone number (+31 (0)70 3487770) or the website of Malaysia Airlines for further information. Last Thursday, the world was confronted with the terrible news of the tragedy of flight MH17. Many KLM staff have expressed their horror at the news and have shared their anguish with their co-workers. Over the past days, volunteers among the KLM Care Team have worked hard to assist the staff at Malaysia Airlines by caring for and answering the questions of the victims’ next of kin, extended families, and friends. Every day, Customer Care and the Social Media Hub have been in contact with the many customers who have expressed their sympathy. Many have questions about their own flights and whether KLM continues to fly through the same airspace. 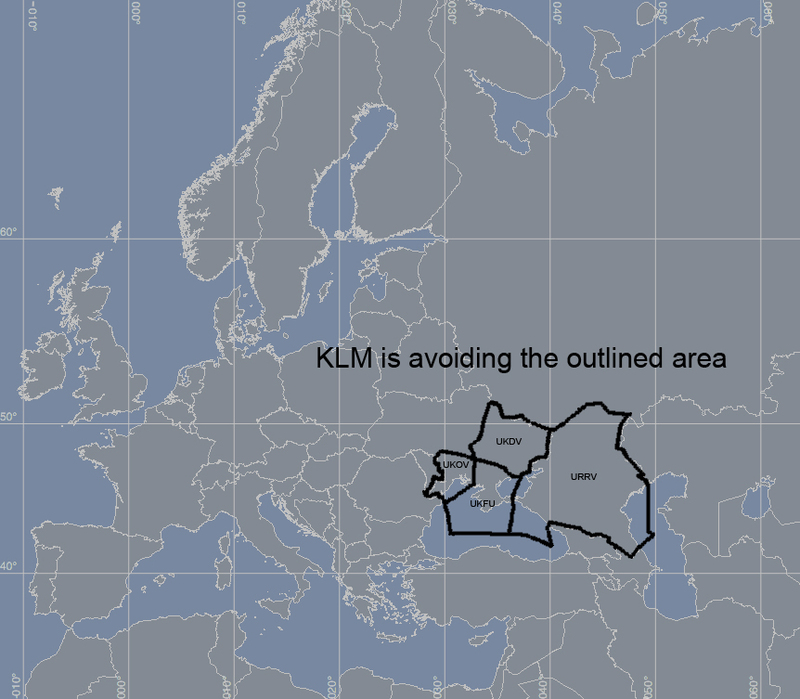 KLM stopped using the airspace over eastern Ukraine immediately and the airspace is now closed to all air traffic. In the time to come, KLM will do all it can to support Malaysia Airlines in every way possible. Please find on the bottom of this page the Q&A about Malaysia Airlines MH17. (On the right hand side of this statement the Q&A can be downloaded). It is with great regret that KLM has learnt about the accident with flight MH17, codeshare KL4103, of Malaysia Airlines from Amsterdam to Kuala Lumpur. Our hearts go out to all families and friends of the passengers and crew on board of flight MH17.We are in contact with Malaysia Airlines to obtain further information. As a precautionary measure KLM avoids flying over the concerned territory. Although not yet officially confirmed by Malaysia Airlines, it is with great regret that KLM has learnt about the possible incident with flight MH17, codeshare KL4103, of Malaysia Airlines from Amsterdam to Kuala Lumpur. We are in contact with Malaysia Airlines to obtain further information. As a precautionary measure KLM avoids flying over the concerned territory. KLM has published the currently available emergency number of Malaysia Airlines: 0060378841234. Please find below the Q&A Malaysia MH17. (On the right hand side of the statement the Q&A can be found in PDF format). What is KLM’s response on the tragic incident? KLM is deeply saddened to learn of the incident involving Malaysia Airlines flight MH17 from Amsterdam to Kuala Lumpur. Our thoughts go out to all family and friends of passengers and crew aboard the flight. We have immediately rendered our condolences to Malaysia Airlines and KLM supports Malaysian Airlines with the care and assistance to the next of kin. There are dedicated phone numbers of the Dutch government (+31 (0)70 3487770) and Malaysia Airlines (+603 878 71276). You can find additional information on the website of Malaysia Airlines (www.malaysiaairlines.com/mh17). All assistance and questions can be addressed via these phone numbers. Is KLM still flying over East Ukrainian territory? No, immediately after the first announcement of the incident of MH17, KLM stopped flying over Ukraine territory. Why did KLM fly over this route, while some other airlines were avoiding the region? There were no restrictions on the operated flights. Air traffic control authority and other authorities who regulate airspace and/or give information about the safety decide if airspace is open for flight operations. From that information followed that this route was safe. KLM never violates directions of air traffic control authority. How does KLM decide whether an area is safe or not? Safety of our customers and crew is always our main concern. KLM is continuously monitoring the safety situation on all routes real time. KLM obtains information from various sources, including the authorities, like the Air Traffic Controls, the International Air Transport Association (IATA) and International Civil Aviation Organization (ICAO). Was flight MH17 a codeshare flight and what exactly is codeshare? This was a codeshare flight. In a partnership airlines can attach their own flight number or code to each other’s services (KL4103 was a codeshare to flight MH17). This enables one airline to offer their own passengers seats on scheduled services of the other airline operating the flight and vice versa. KLM has been partnered with Malaysia Airlines since 1998. Do the flight numbers MH17 and KLM4103 still exist? Flight MH17 changed to flight MH19 from 25th July. Also flight number KL4103 changed to KL4123 from 25th July. How many passengers were on board, and what were their nationalities? All available details of flight MH17 can be found on the website of Malaysia Airlines, the operating airline (www.malaysiaairlines.com/mh17). What is KLM’s rebooking policy if you want to change your travel plans because of the MH17 incident? If you would like to change your travel plans we advise you to contact our reservations department who can help finding a personal solution. Has KLM made arrangements to take care of the next of kin at Schiphol? 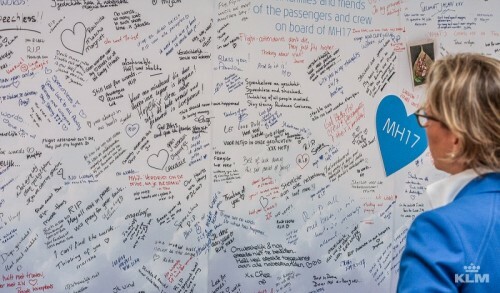 Malaysia Airlines arranges for the care and assistance of the next of kin. Immediately after the incident, KLM offered support to Malaysia Airlines. Volunteers from KLMs Care & Assist team assist with the support for the next of kin. What financial consequences will this have for KLM? Our main concern and our thoughts go out to the family and friends of passengers and crew who were aboard the aircraft.